With the APEGG motto for 2016 being “SAVE COST and PACK MORE through Education” and by making 2016 “the Year of Education”, it is therefore fitting that APEGG Ltd are pleased to announce that the first in a series of planned mould design training courses has just been completed. 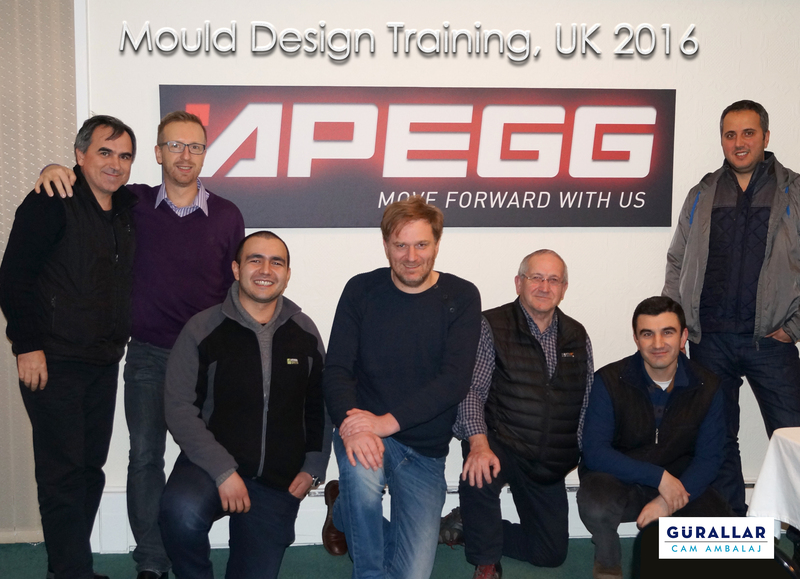 APEGG have concluded the first two out of three modules of their Mould Design Training course, which was attended by management and senior technicians from Gürallar Cam Ambalaj, Turkey. This training course was given at one of APEGG’s training facilities in the UK and was as a result of initial meetings held at the 2014 glasstec in Düsseldorf. During the APEGG Mould Design training course, students are actively involved with mould design work, using 2D and 3D software the students make working drawings during the actual course. APEGG have a detailed course structure. However, it is encouraged that students bring to the course where practical, real life production issues that can be discussed with the APEGG tutors and worked on during the course. This way students leave the training course not only with theoretical knowledge, but practical knowledge and actual designs which can be tested in production.